Modern to contemporary home style box pendant shown with filament bulbs (not included). Straight lines and geometric shape adds sophisticated style. Includes optional glass panels. Perfect for minimalist and industrial decor styles over dining area. 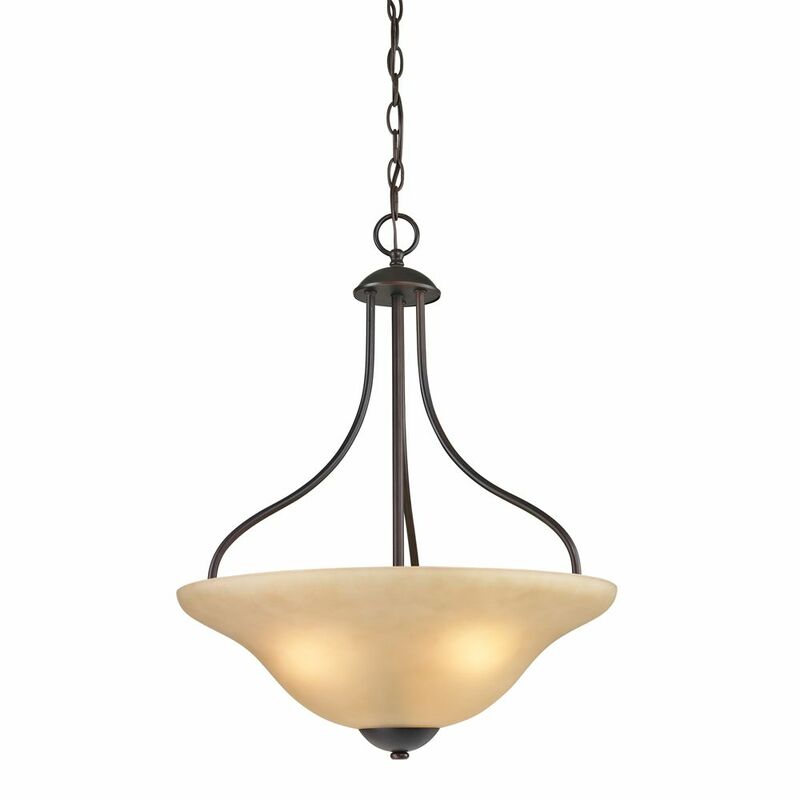 3 Light Pendant In Oiled Rubbed Bronze This casual pendant light features a minimalist design with metalwork finished in oil rubbed bronze and a beautiful light amber glass shade.